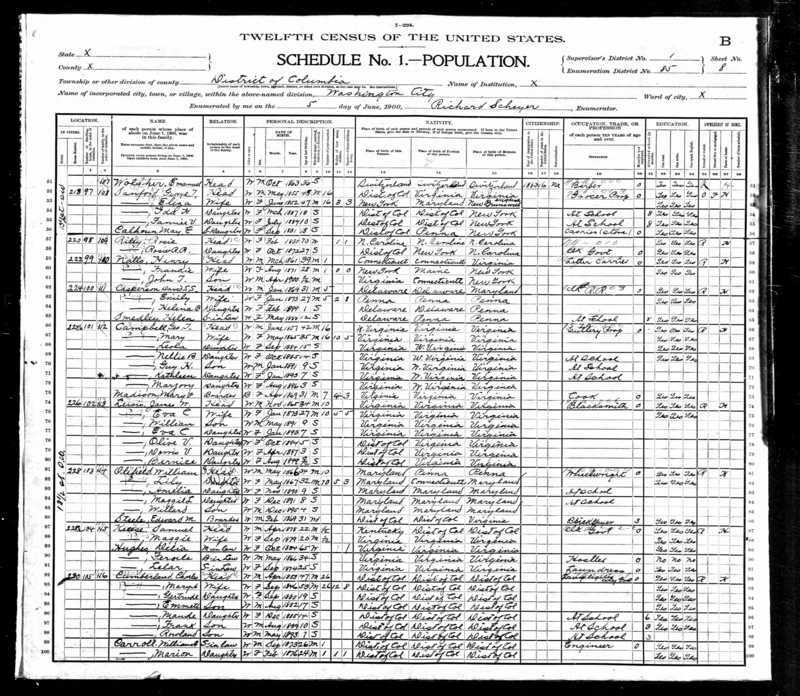 1900 Federal Census Record of James Lewis, son of William Lewis, showing his migration from the rural parts of Fairfax, VA into Washington D.C.. The Document also provides his occupation as a blacksmith, his immediate family members, and his address. Federal Census Bureau, “1900 Federal Census Record of James Lewis,” My Cemetery, accessed April 20, 2019, http://mycemetery.org/items/show/1189.